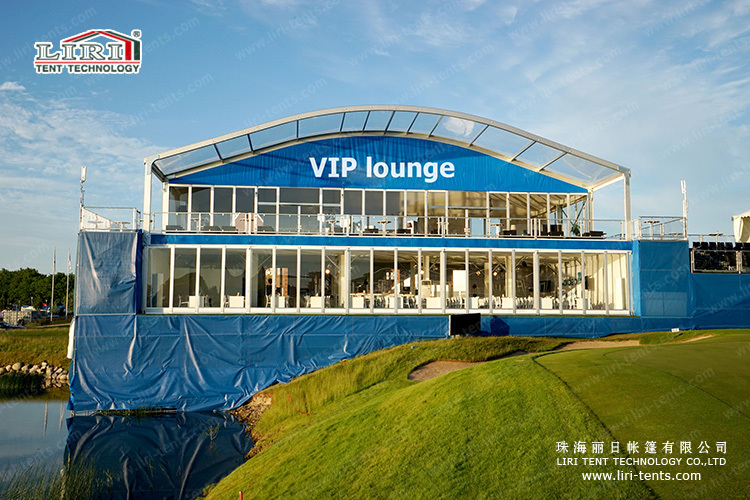 LIRI high quality double decker tent have been widely used in golf event, equestrianism master sport events for VIP lounge, viewing balcony functional area, etc. 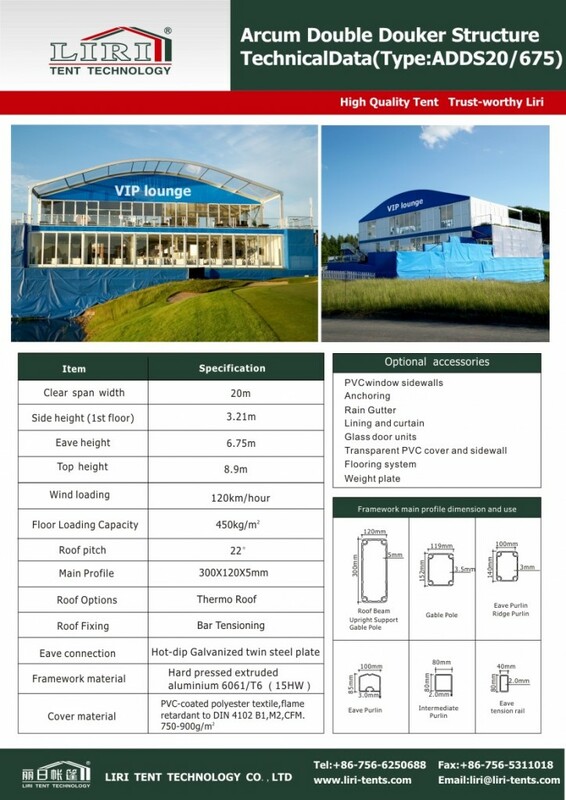 The LIRI double decker tent system has succeeded not only because of its functional superiority and style: Its outstanding features master product versatility, safety and high durability. Size of Double Decker series is available in spans of 10 – 20 meters, unlimited increasing by 5m in length.